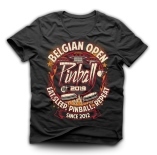 Welcome at the Belgian Open Pinball 2019! 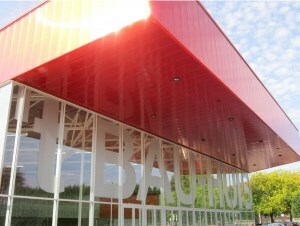 After a year of abscence we are back in 't bau-huis, located at 1.3 km from the city centre, with good facilities and additional space, we look forward to bring you the BOP 2019. This tournament is 'open' and is a full 2 day event on the 5th and 6th of October 2019. This means 2 days of pinball fun, open for both Belgian and international players! We have the main qualification on saturday, and we continue on sunday for the final rounds with the first 56 qualified players in a head-to-head formula. In the main tournament you can earn WPPR points for the IFPA ranking. 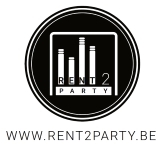 We also present a seperate classics tournament (16 machines), a youth tournament and the brand new 'Belgian Triple 9°' side tournament that earns WPPR points too. This is a closed event, only registered players are allowed. Entrance to this event is free of charge and all machines are setup to freeplay. We only ask a contribution that makes you a member (bfb) and to cover the costs of the location. 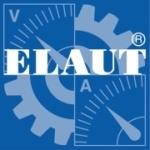 So do not forget to register yourself starting from the 06th of June 2019 at 20h. Pre-registration for the top 8 of each country from the 27th of May till the 05th of June through the IFPA country director. We hope to welcome you all and perhaps YOU are the next champion in the Belgian Open Pinball tournament! Just like each year we try to obtain the most recent pinball machines available. 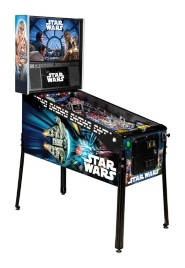 Playable in the competition area and recreational area. Last year we had over 50 pinball machines, this year we would like to add an additional 10. Those who bring one or more machines, receive a nice reward (as drinking vouchers). This year we also present the 'pinballTaxi' for the regions West- and East-Flanders which will take care of the transport for your machines that you offer to us for the weekend. Please contact us if you consider offering a machine to setup in the BOP 2019. The BOP BBQ is terug! On saturdaynight we offer a nice 'after-summer' bbq that you can eat between 18h30 and 21h30. Participation in this is 15 euro. 3 nice pieces of meat, vegetables and other food is included (bread, potatoes, ...), as well the accomodation to enjoy your meal at ease in the foyer. During the registration you can choose to register for the BBQ. Pre-registration for this is needed! It is not possible to register for this once the BOP has started. A unique BOP 2017 is being designed as we speak. This T-shirt can be bought by marking this when you register for the tournament at the cost of 25 euro. There you can also define the size needed.